We are Company K, 67th NY Historical Association based in Sayville, Long Island, New York and we are Living Historians, bringing the Civil War era to life for the purposes of educating the public and preserving history. 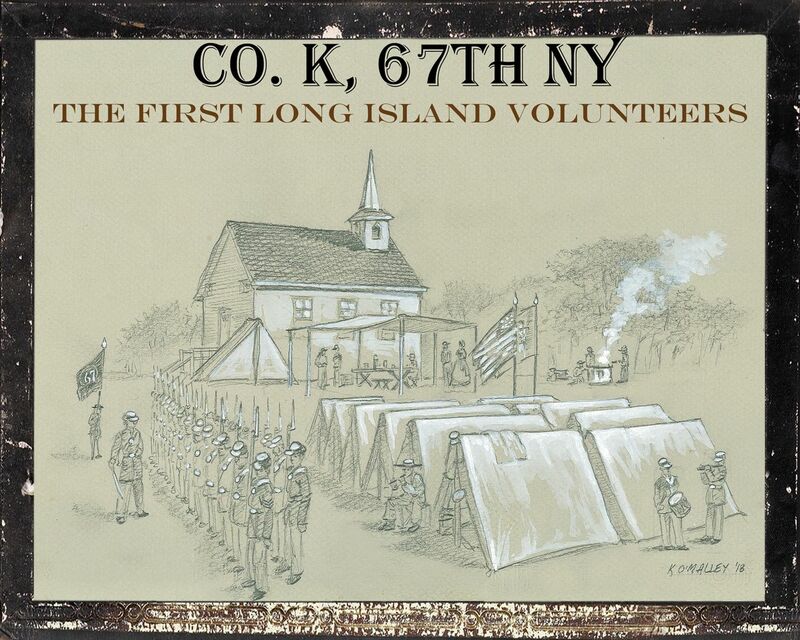 We strive to emulate the original soldiers that comprised the original Company K of the 67th New York Volunteer Infantry, a regiment that was also known as the First Long Island Volunteers. The 67th NY is dedicated to the goal of educating and preserving history. We participate in a variety of Living History events throughout Long Island including parades, encampments, school programs, and, of course, re-enactments of the more conventional variety. We are incorporated as a non-profit organization under the New York State Board of Regents and have public charity status as a 501c3 organization under the Federal IRS code. Most of what we earn is donated for the preservation of Civil War Battlefields and other historical sites relating to the era. Since our inception we have given over $20,000 to institutions such as the Civil War Trust for saving our nation's Civil War battlefields. Additionally, we are devoted to keeping alive the spirit of the regiment who we represent and ensuring that our generation does not forget the sacrifices and accomplishments of the men who fought to save our Union. We always take our history seriously...but never ourselves. Our hobby takes us on long marches through the magnificent countryside of Pennsylvania, Virginia, and Maryland where many a real battle has taken place and all the while we never fail to have a good time. If you don't believe us, then please click on our Photo Album below. A picture is worth...well, you know the rest. As for any potential recruits, scroll down below to our Recruiting Station and you will see a little more detail as to what we do and what we require from a potential member. And for those who are curious enough to see us in action check out our Schedule below. Most of our events are local however we do go on the road several times during the re-enacting season. And should you have any questions or share a criticism, compliment, comment, or good old-fashion nonsensical ramblings, please send us an e-mail. Now enough with the introductions...you're on your own...carry on. This Website and all information contained on this site is copyrighted and is intended for public educational use only. Any use of the content is prohibited without the expressed written consent of the owners. Copyright © 1997 ~ 2017 By Matthew Kenny, Co.K, 67th New York Historical Association.